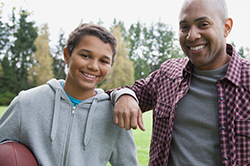 Friends First Mentoring program: Learn more about our one-on-one mentoring program that matches you with a child in need. Tutoring: As a tutor, you will help one of our youth complete their homework each week, and encourage positive academic habits. Ages 18+. MercyWorks Volunteer program: MercyWorks is a once-in-a-lifetime opportunity for you to volunteer with other recent college graduates who want to dedicate yourselves to improving the lives of Mercy Home kids. Events: Mercy Home has several fundraising and youth events throughout the year. We need volunteers to help with registration, auctions, raffles, charitable gaming, food service, children’s games, and many more roles! Learn more about our upcoming fundraising events here, or fill out the form below to learn about the next event! Group Opportunities: Mercy Home only has a couple group volunteer opportunities – Mercy Home’s March for Kids during the month of March and the Bank of America Chicago Marathon, the first Sunday in October. To be added to the email list for these volunteer opportunities, please check “Event Volunteering” in the form below. Collection Drives: Our youth are always in need of personal hygiene items, school supplies, new winter attire, camping equipment, etc. We are happy to provide you with collections lists with our latest needs – please fill out the form below for more information. All ages welcome to participate! Greater Chicago Food Depository: You can volunteer at the Greater Chicago Food Depository on behalf of Mercy Home, and we’ll earn credits toward providing our youth with nutritious meals on a daily basis. The hours you volunteer contribute to our overall account balance. Ages 5-99 welcome! You can sign up online – just make sure to tell them you are volunteering on behalf of Mercy Home for Boys & Girls. Corporate Opportunities: Mercy Home has many opportunities for you and your colleagues to volunteer together as a group. From beautifying our campuses to volunteering at an event, we have several options for corporate outings. Please contact us for more information. March for Kids: During the month of March, more than a thousand volunteers hit the streets of Chicago area St. Patrick’s Day parades and events to help us collect donations. All ages welcome to volunteer for March for Kids! Please fill out the form to receive information about any of our volunteer programs.